SHADE - Crews work to remove the wreckage from Route 33. SHADE - A Pomeroy man was killed in a two-vehicle crash at the intersection of Route 33 and Rainbow Lake Road. Route 33 remains closed in both directions as crews from Ohio Department of Transportation work to clear the wreckage. 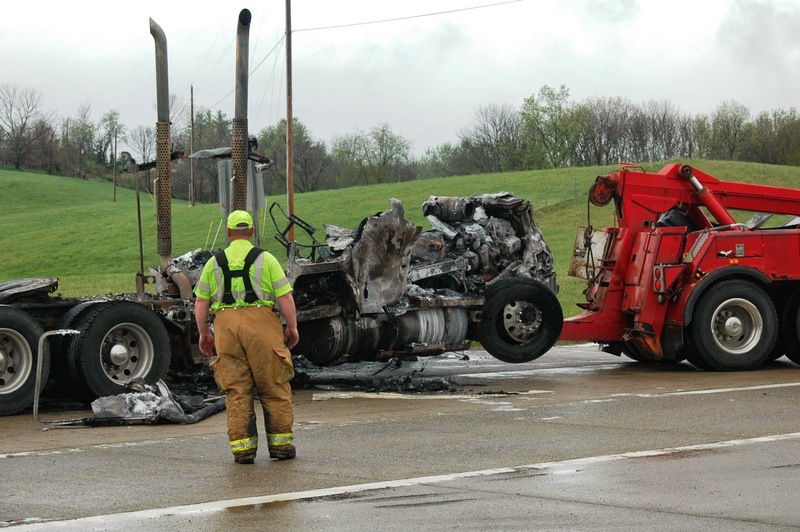 According to Highway Patrol Lt. George Harlow, the crash occurred at approximately 8:30 a.m. when a GMC pickup truck driven by a 75-year-old male pulled into the path of an eastbound tractor trailer. The driver of the pickup truck was killed while the driver of the tractor trailer received minor injuries. The identities of the drivers have not been released.